Bathroom vanity is important furniture on bathroom. It can be bought or we can build it with smart way. 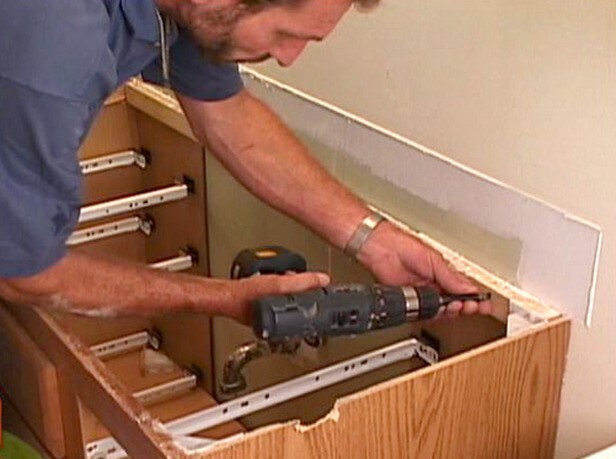 Building a bathroom vanity from old table or old kitchen cabinet can be done in simple way. Before doing it, measure first area on bathroom for this bathroom vanity. Determining first its width, length and height. Then select old table or old kitchen cabinet that is fit for this measurement. If we have one that is fit with this size, the next step is giving hole on this table surface to put sink and faucet. Connecting these sink and faucet with water channel. That’s it. New bathroom vanity is ready. But it’s better to repaint first to make fit with this bathroom interior. 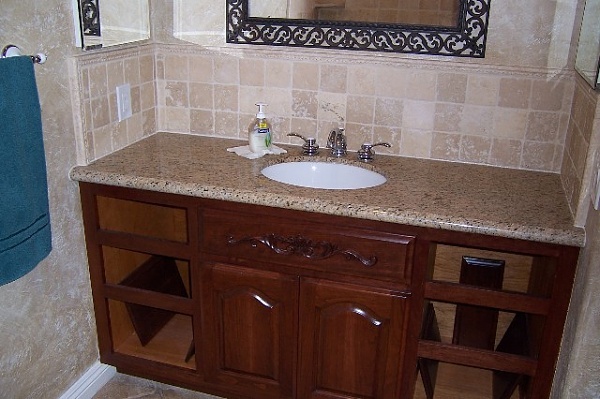 If these table or cabinet have different size with requirement, then building a bathroom vanity need some modifications. It’s better to use old table or cabinet that have several racks. It’s for storing any stuffs there. But it doesn’t matter if there are no racks. It will be simple bathroom vanity. Assuming we will use old table to build bathroom vanity. First step is determining where part will be used. Other part then is cut by saw. Make sure there’s enough space to put sink and faucet later on this table. After this table is cut, then measure sink that will be put. On this top side table then is cut. This hole shape follow its sink shape. After cutting task is finish, now this table need to be painted again. Choose paint color that is fit with bathroom interior. Doing it when weather is hot. It will be dry faster. Now, it’s time for installation. To install this table on the wall, it can be done with screw. Give cutting wood on rectangle shape behind this table. Nailing it with hammer. Then screw can be install through this wood. Last task is putting sink and faucet on this table hole. Install properly water channel. Check after installing to make sure, everything is installed well. Other bathroom vanity fixtures, such as mirror can be put on the wall later. That’s it, building a bathroom vanity is done easily. 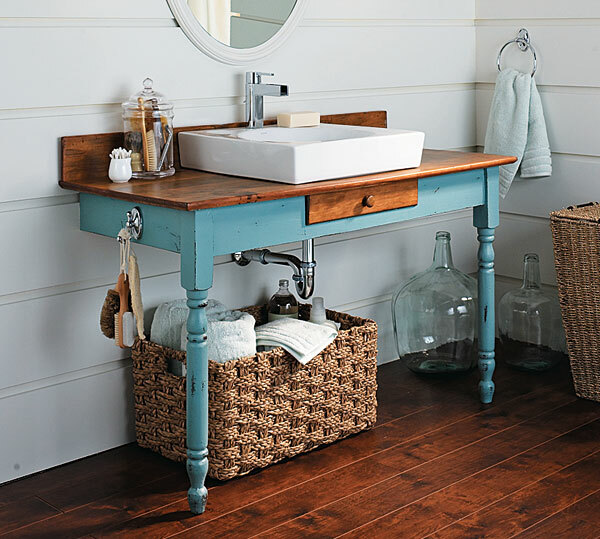 Need more great design ideas on Tips For Building A Bathroom Vanity With Low Budget? See our full gallery!